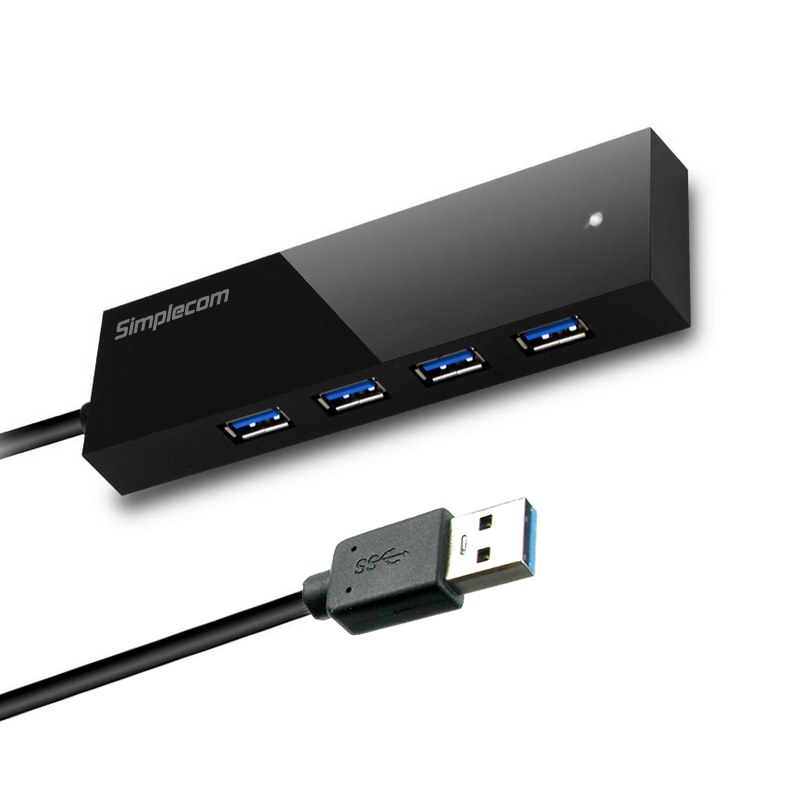 Simplecom CH341 4-Port USB 3.0 Hub turn one of your computer's USB3.0 ports into four. 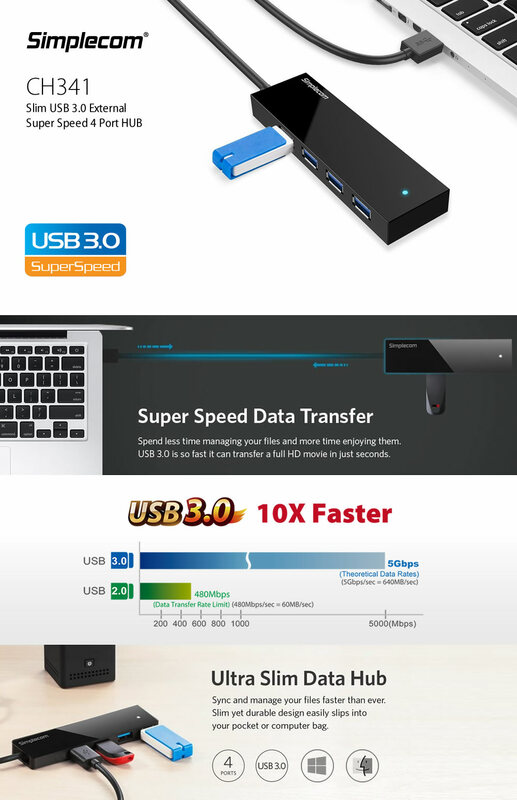 This allows you to connect and use USB devices such as digital cameras, external hard drives, flash drives, and printers, all from a single hub. 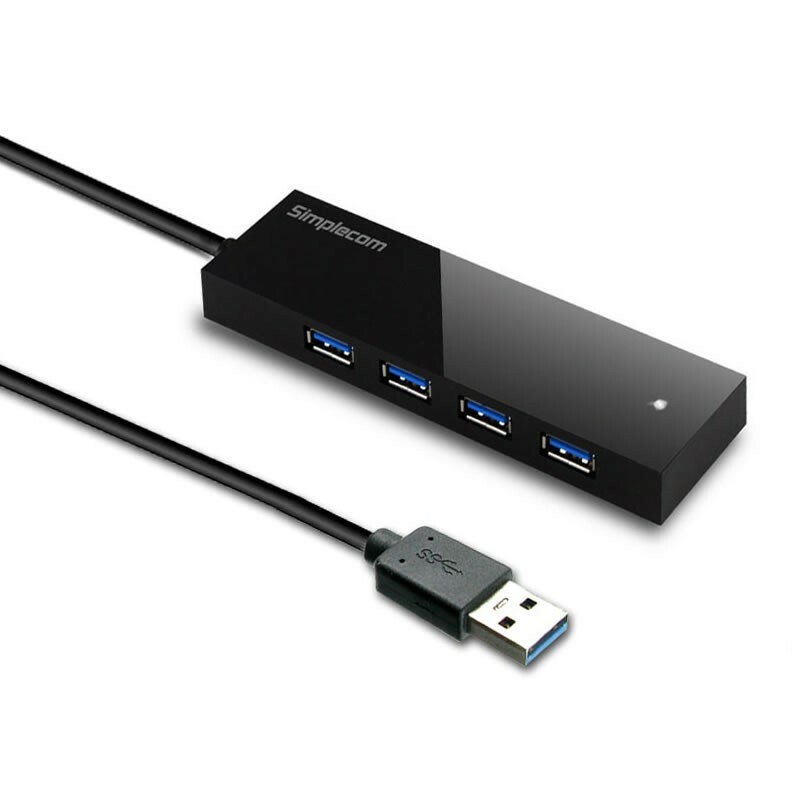 Powered by USB 3.0, this hub provides quick data transfer rates of up to 5.0Gbps. It does not require any software, drivers, or complicated installation process. Features a sleek design to fit on your desk without taking up precious desktop space. For a stable connection and work properly, avoid connecting high power-consumption devices, such as external hard drives, this hub should not be connected to devices consuming combined current of 5 volts 900mA . The hub will sync but not charge tablets and other devices that require a higher power input. Can I connect 2 or more External USB Hard Drive? Can I use this Hub to charge my iPad or other Tablets? I'm using Mac OS X 10.7.4 and having trouble of connection?